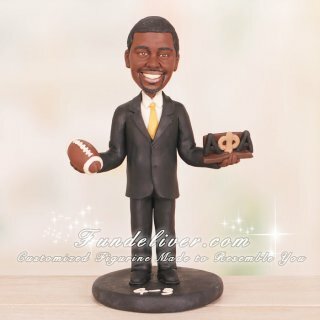 This is a completely customized Fraternity Theme Party Cake Topper/Figurine ordered by one of our customers. 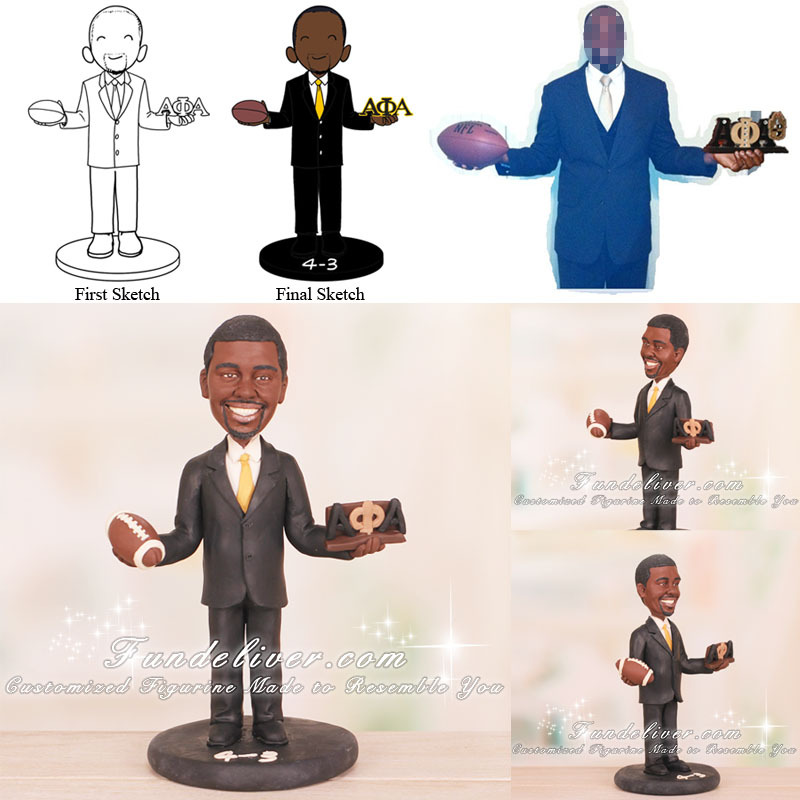 He is on a black suit with black shoes, a white shirt and a gold tie. In his right hand he is holding a football out. In the left hand he is holding out his fraternity letters, the fraternity is Alpha Phi Alpha. He is standing on a black round base with a happy facial expression.